While I had hoped to get the first sunflower completed Wednesday night, we were out for a while at a friend’s and there just wasn’t enough time. Stitching these shapes is an absolute delight! They go together quite easily, without any issues. Normally, I’d join the two rounds of diamonds and triangles together before adding them to the fussy cut centre. The second round of diamonds and triangles is started, as shown. I can’t wait to see it finished. 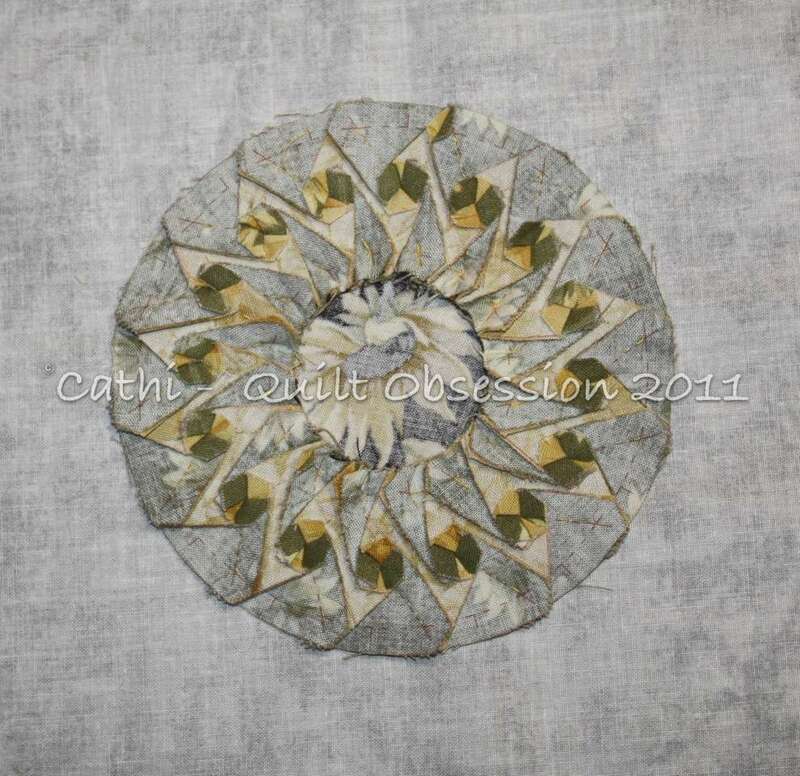 The fabric I’m using for the background is going to, I think, really frame the sunflower rather fabulously. This is how the centre looks with just the one row of diamonds and triangles added. If I were going to make a 6″ block, all I’d be adding now would be background. However, I’m adding the further round of triangles and diamonds and my block will finish at 12″. Lester was looking at something I was holding just above the camera while Mr. Q.O. took the photo. Smudge had been at the water bowl shortly before this shot was taken. As usual, he was putting his whole head into the water bowl and then catching the water as it dripped down his face. I think if you click on the picture to enlarge it you can still see some water droplets on his fur. I think I am really going to like watching the progress on these blocks! Just lovely. Great shots of the cats! Spectacular is right! That will be a winner! 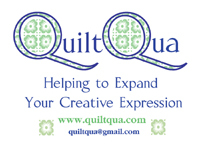 As all of your quilts are, of course! I can just see Lester on the cat walk, strutting! Mr Photo Cat! Wow. I’m so speechless. 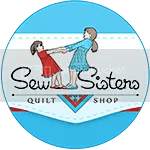 These fabrics, the way you’ve chosen them to represent each element – just WOW. I’m going to come back again and again just to stare. This is amazing. I’m so so so dang inspired! 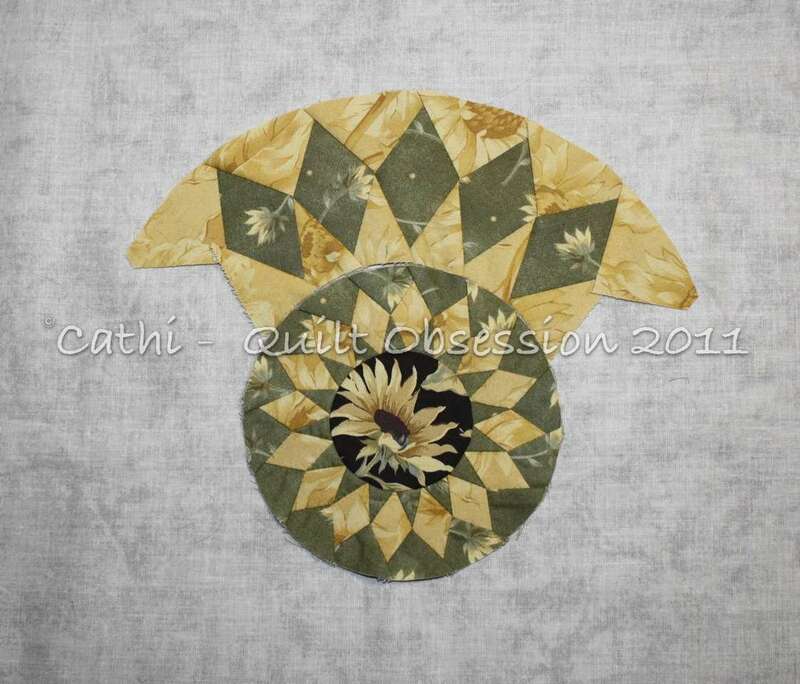 Love the fabric choices – the sunflower in the centre of the block is lovely. No doubt about it, your kitties never fail to crack me up! I love your beautiful blocks! 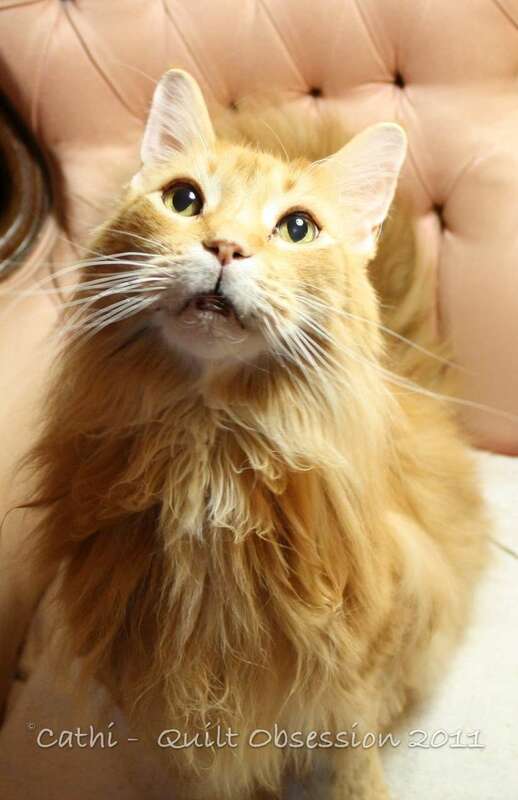 But I have to say that your cats are just gorgeous and it is great to read about their antics and about what they do…love the water drops on his whiskers! Spectacular indeed Cathi! Lovely kitties, as always! Just lovely, Cathi! I hope to start one when I get home from “mom” duty. Keep us up to date! This sunflower block is stunning! I love it! And I can’t wait to see it with a background. I’ve been to the Inklingo site, and signed up for all the freebies and tutorials, to learn all about it. As yet, I haven’t had a minute to even check it out, but now that I’m back from the Red & White Quilt show, I have some time. 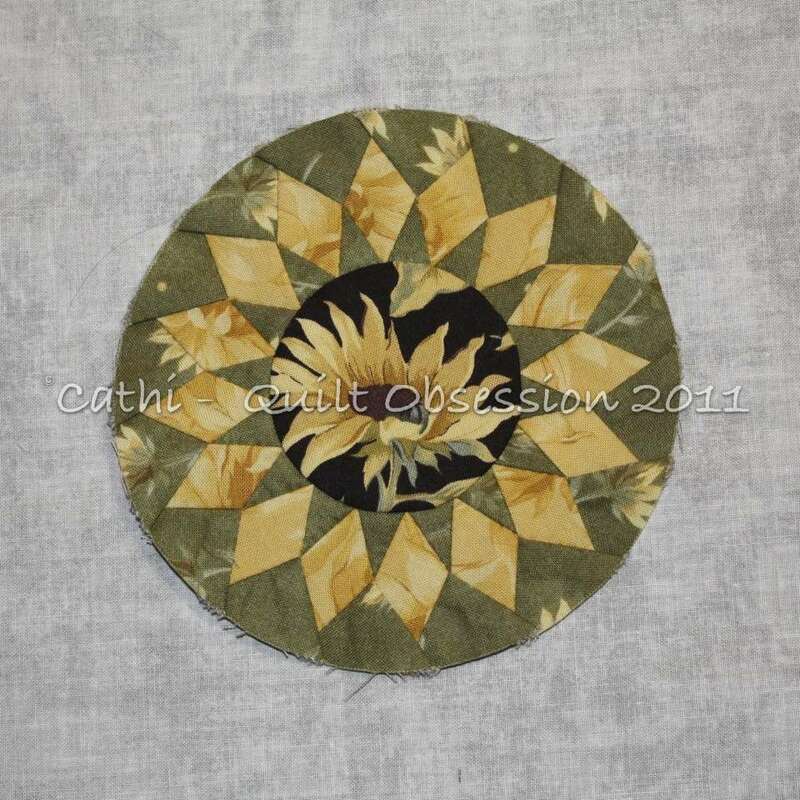 This sunflower will definitely be one of the blocks I choose to start with….I love it! I usually draft my own blocks, because I like the process of planning, marking and cutting….. but this is a block I would never even try to draft…..so it is great that it is available on Inklingo. Can’t wait! 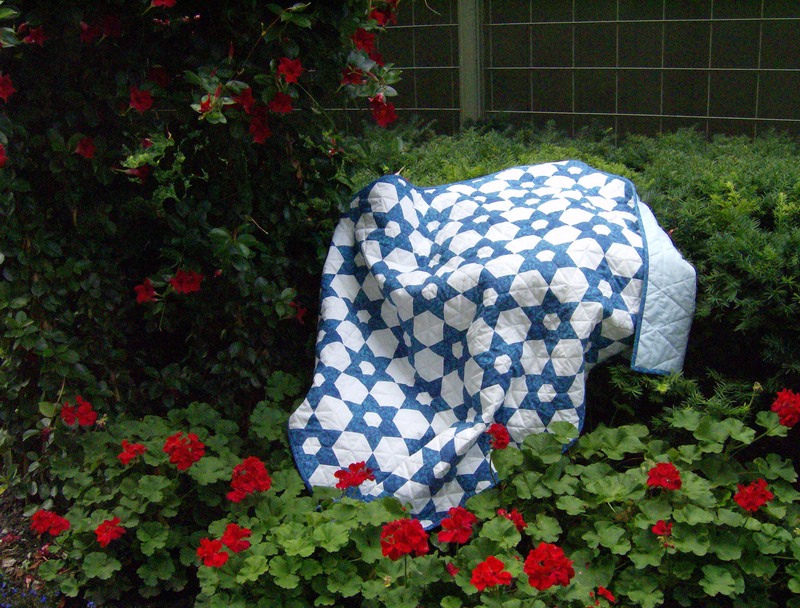 And thanks for always taking such great pics of the piecing and backs…..that is SO helpful! 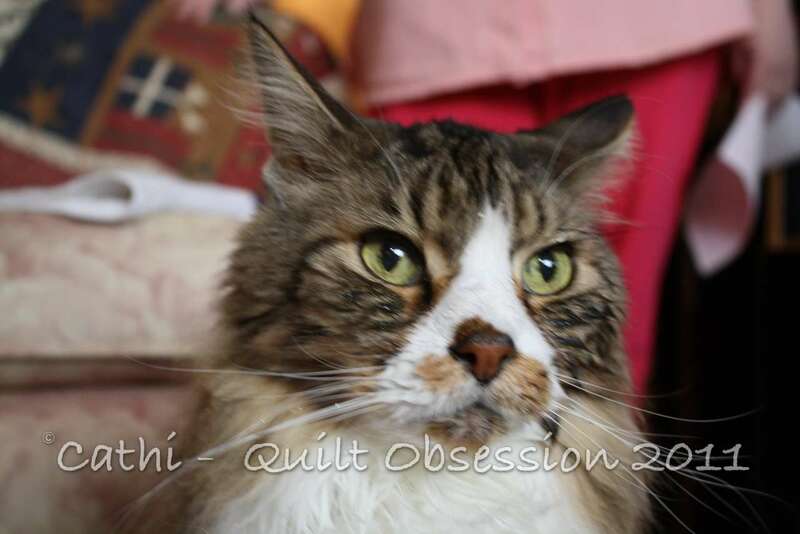 Your work is really beautiful, Cathi….and so are the kitties! Its beautiful Cathi. I’m in aw. I just got my guide book in the mail today so am so anxious to get started. Great work on those blocks. That smudge is a hoot, so glad he is feeling better these days.